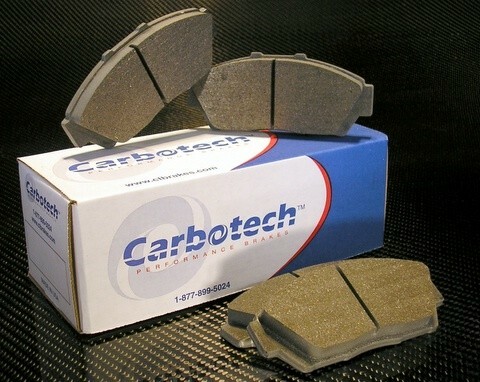 The Carbotech 1521™ is a high performance street compound formulated as an excellent upgrade to the factory brake pads. Similar to the AX™ & XP™ line of compounds, 1521™ is a Ceramic based friction material offering minimal rotor damage and non corrosive dust. As an OE upgrade, the 1521™ works well in cold weather, has low dusting and low noise output with an initial bite more pronounced than the factory brake pads. Carbotech 1521™ is meant to be used in high performance street applications and is NOT recommended for any track use.